"A big mac and big glass of humility, please"
Chew on this: the entire cryptocurrency market now has a smaller market cap than fast food titan McDonald’s. 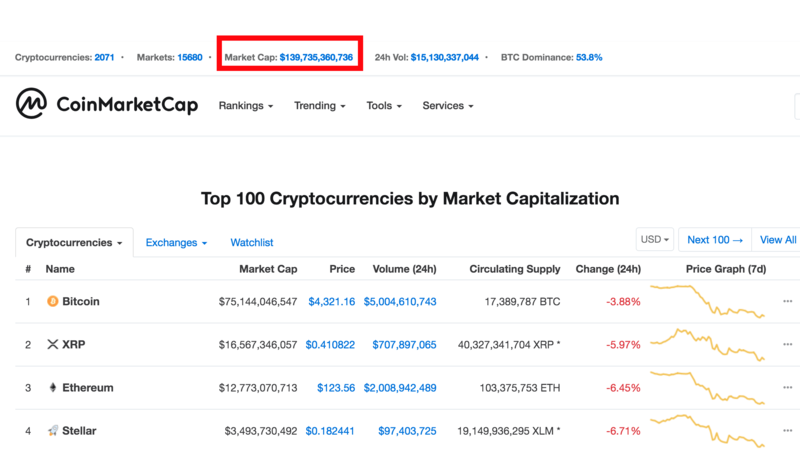 The total worth of the cryptocurrency market has fallen to $139.7 billion – a staggering 80-percent-plus downswing compared to a $819 billion market cap in January 2018. 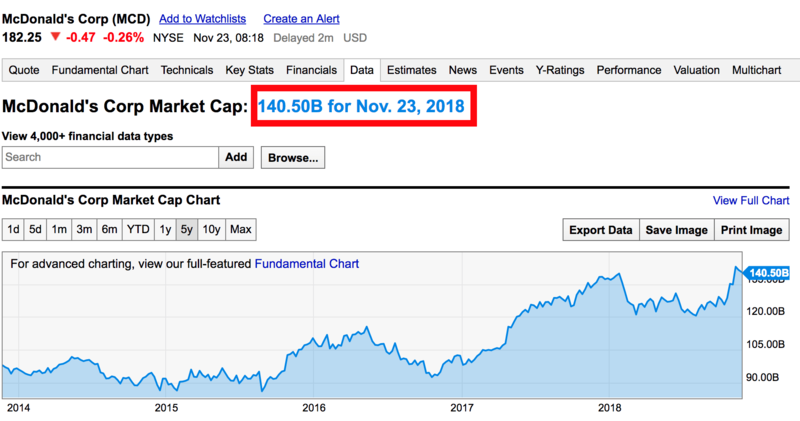 By comparison, McDonald’s market cap currently stands at $140 billion. True, the comparison to McDonald’s is tongue-in-cheek – and admittedly not that insightful. But it does expose a stark contrast between hype and real-world use cases. For all the grandeur visions of decentralization, transparency, and security in a fully tokenized economy, Bitcoin and Ethereum are arguably the only two cryptocurrencies with any legitimate mainstream appeal and adoption. Although there are currently more than 2,050 indexed cryptocurrencies (though the real number is likely higher), Bitcoin accounts for more than half of the entire sector, boasting a market cap of more than $75 billion. By comparison, Ripple’s XRP is a runner-up with $16.5 billion, followed by Ethereum with $12.7 billion. Ignoring XRP’s larger market cap share, Ethereum arguably has a tighter grip on the market. Estimates suggest there over a thousand tokens running on its network at present. But for a platform designed as a framework for decentralized apps, data indicates there are still less than 15,000 daily active users for all Ethereum apps combined. By comparison, Uber has 75 million monthly active users a month, or roughly 2.5 million users each day. Instagram touted 500 million daily active users as of September 2017. Reports suggest 68 million people eat at McDonald’s every day. The volatility situation is gradually improving, but the market is known to fluctuate wildly. Indeed, the cryptocurrency market could overtake McDonald’s market cap 10 minutes from now. That is absolutely possible. But you know you can’t do in 10 minutes? Establish a global network capable of serving millions of customers each day – and that is something that no market cap comparison can reflect.